We’re loving these vintage inspired drinking glasses. 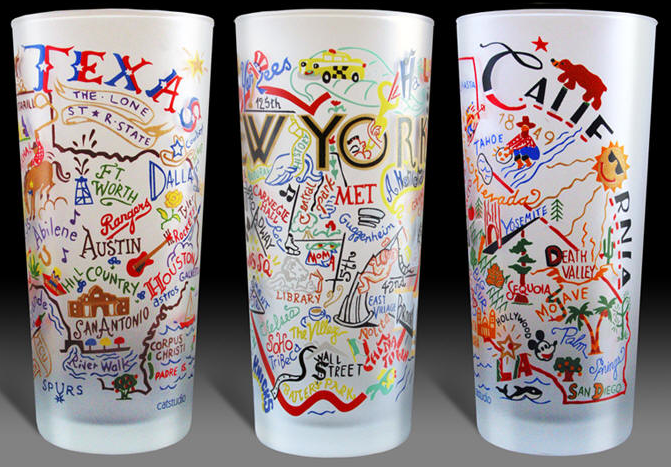 Each frosted glass represents a state and what’s most popular there. 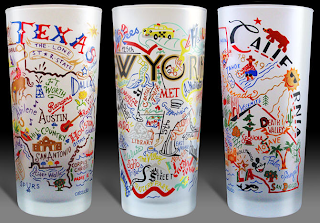 Buy a set for yourself of each of your favorite states or do like we did: buy a set for your partner representing all the places you’ve been together. $12 each. Available at The Nest Egg.